Police say at least four suspects have been killed. Four tourists, including two U.S. citizens, were killed in Tajikistan while cycling on July 29 after a car plowed into them near the southern town of Danghara. A manhunt for the perpetrators of what officials are describing as a premeditated attack has culminated in at least four suspects being killed. Many details remain uncertain and authorities have not advanced any theories as to what may have been behind the incident. Grainy video footage of part of the attack, which occurred at 3:30 p.m., appears to show the car involved turning around after the first collision took place and mowing down a person lying in the grass by the side of the road. Interior Minister Ramazon Rakhimzoda told reporters that one of the suspects also attacked the travelers with a sharp object. Asia-Plus cited a doctor at a hospital in Danghara where the killed travelers were taken as saying the bodies show signs of having been struck by a something sharp. This version has also been supported by the U.S. Embassy in Dushanbe. “According to multiple sources, on July 29 Tajik citizens hit seven foreign cyclists with their vehicle, exited the car, and stabbed the cyclists with knives,” the Embassy said in a statement. Only one of the suspects has been captured alive. Another was reportedly killed on the evening of the alleged attack after he put up resistance. Police put out a notice on July 30 to declare that they were hunting another three young men aged 18 to 21. By the evening, police sources reported all of them had been killed. Officials say that they are considering a number of possibilities for what lay behind the incident, including murder, robbery or terrorism. The two other tourists killed were from The Netherlands and Switzerland. Three other cyclists traveling in the group were also injured. 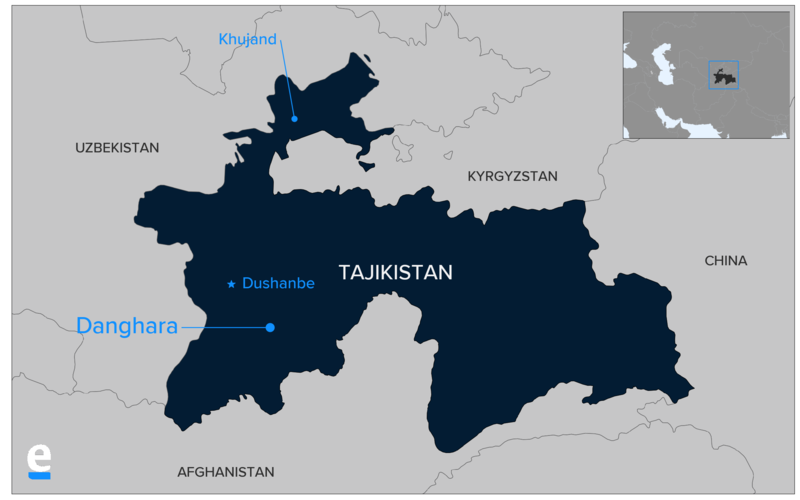 The fatalities will provoke considerable distress for Tajikistan’s authorities, which has invested considerable effort this year into promoting the country as an emerging tourist destination. The stunning mountainous scenery has traditionally been a strong draw for foreign hikers, cyclists and mountaineers. President Emomali Rahmon’s office announced that he had declared his condolences to the governments of the United States, the Netherlands and Switzerland over the deaths. Note: This report has been updated to include the government's response.